THE NEWBURGH AREA FOOD PANTRY is located on St. John the Baptist Catholic Parish property, sharing the building with Mother Teresa's Treasures. This outreach ministry started in the 1970's at Epworth United Methodist Church. It is staffed with volunteers from several area churches, and is supported financially by many others. This is a community problem and we would like for the entire community to take a stand and help out with donations and volunteering. The criteria to be served at our pantry is that you must prove that you live in Newburgh or Yankeetown and meet some income eligibility guidelines. You are entitled to come every 30 days, at which time you can shop for yourself with a volunteer and our guideline, or take the pre-bagged food we have put together. We pride ourselves in offering laundry detergent, cleaning supplies, toilet paper, miscellaneous paper products, shampoo, deodorant, toothpaste, and bar soap. These are necessary items that cannot be purchased with food stamps. We also offer a whole section dedicated to children called the "KID'S CORNER". Here we stock diapers, wipes, baby and kid's shampoo, body wash, kid's toothpaste and toothbrushes, bandages, lip balm, etc. We are currently serving 130-140 families per month. We serve anyone outside our serving area an emergency bag and a list of nearby agencies available to them. We provide basic school supplies before school begins, we offer extra Thanksgiving meal items, and at Christmas each family member receives a coupon to be redeemed at Mother Teresa treasures. As you can see, this labor of love is appreciated in the community and is constantly seeking ways to receive donations of products and funds in order to continue this ministry. Please consider how you might help us, either monetarily, by collecting food, or by volunteering. It is a very humbling, yet rewarding experience. 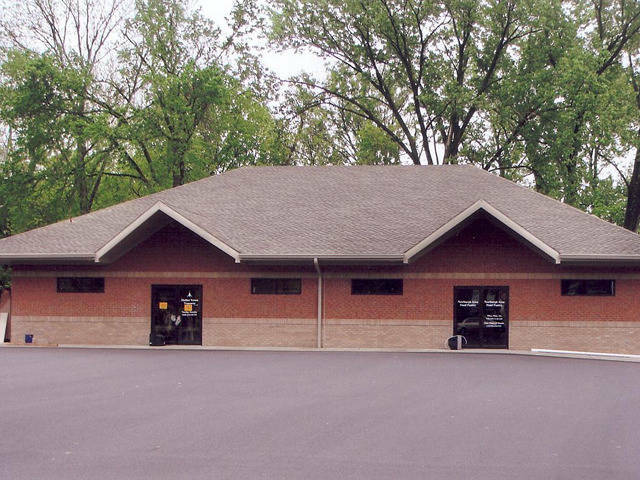 NORMAL FOOD PANTRY HOURS ARE MONDAY, WEDNESDAY & FRIDAY 9-11:30 A.M. AND THE LAST THURSDAY OF THE MONTH 4:30-6 P.M.
For additional information, please call Carol Schmitt at 812-490-4040.